The recently released Government of India’s (GoI’s) “Economic Survey 2015-16” has come up with a major revelation: That Gujarat, which claims itself to be the financial capital of the country, has, ironically, one of the poorest saving bank penetration in the country, adversely affecting the GoI’s direct bank transfer (DBT) thrust. In fact, the Survey also finds that Gujarat has one of the poorest DBT penetration index, too, whether it is rural areas or urban areas. No explanation has been given as to why the "model" state's banking sector is relatively poor spread. 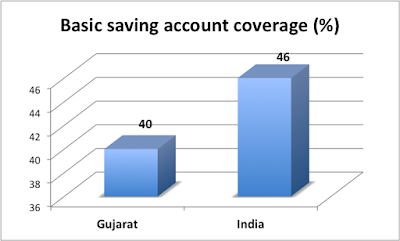 The Survey says that, in Gujarat, what it calls “basic saving account coverage” is just about 40 per cent, less than the national average of 46 per cent. 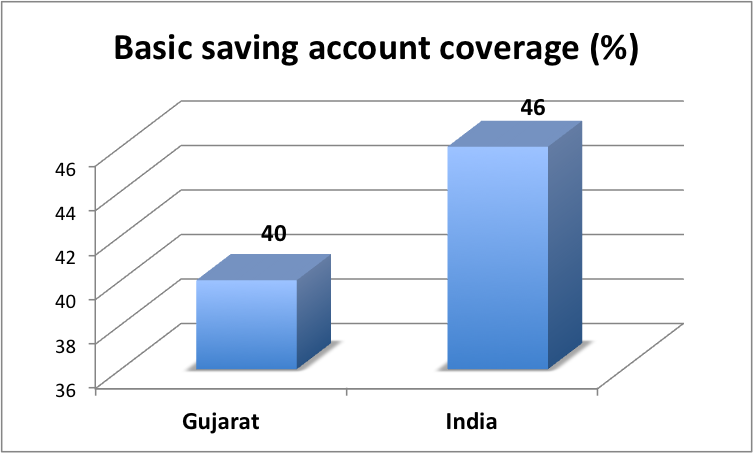 The two-volume report, in fact, finds that as many as 15 other major Indian states out of 20 have a higher “basic account coverage” than Gujarat’s. Interestingly, the Survey finds that in urban areas, as many as 14 major Indian states have a better DBT preparedness than Gujarat. As for the rural areas, the Survey reveals that as many as 16 out of 20 major Indian states have a better DBT penetration than Gujarat.